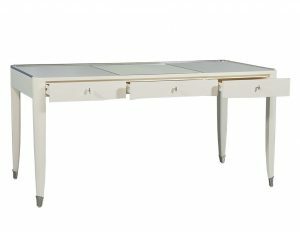 This Art Deco desk is a cream color lacquered secretaire and showcases a parchment covered top with an inset parchment writing surface and polished nickel trim. 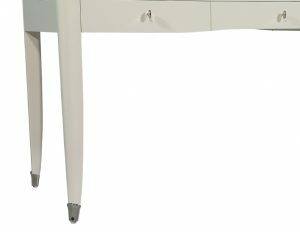 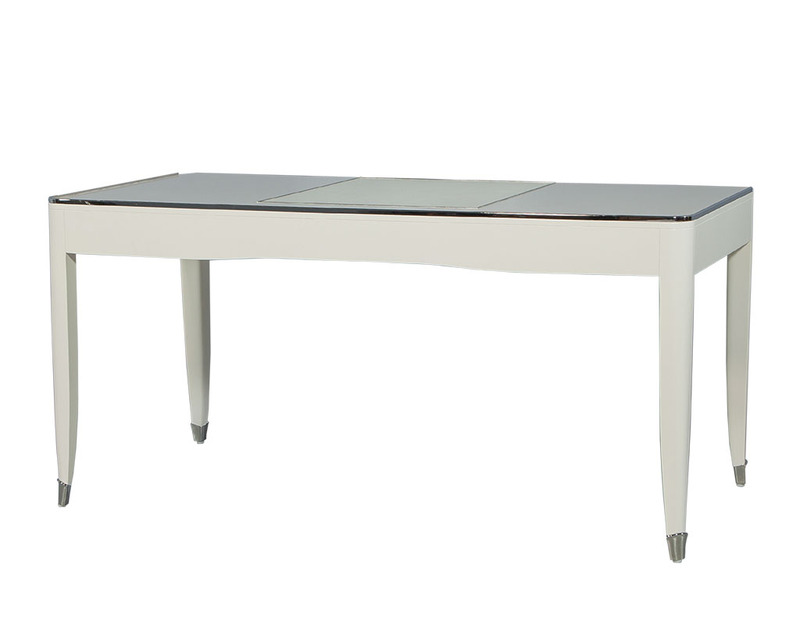 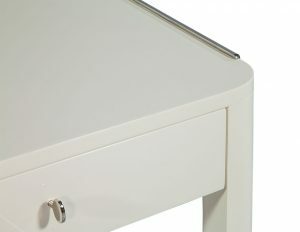 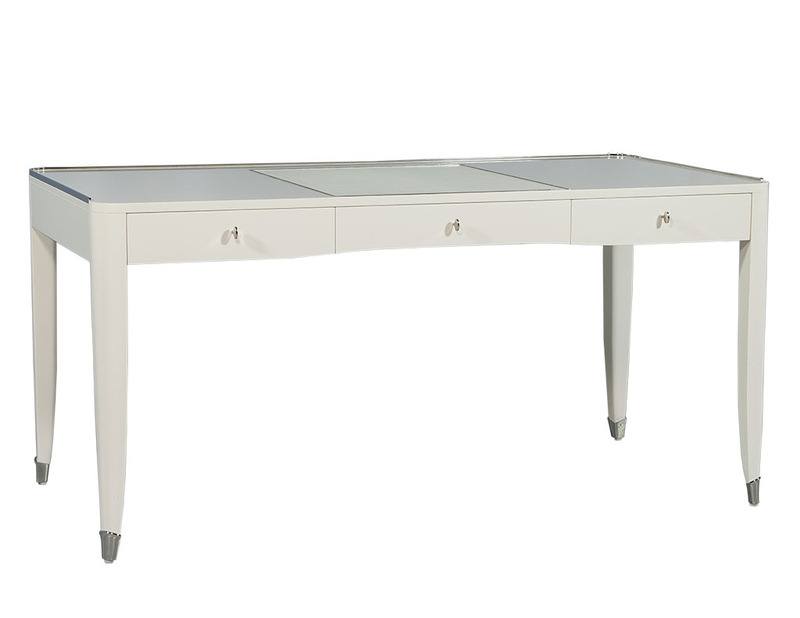 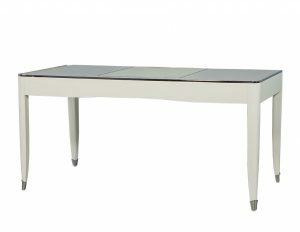 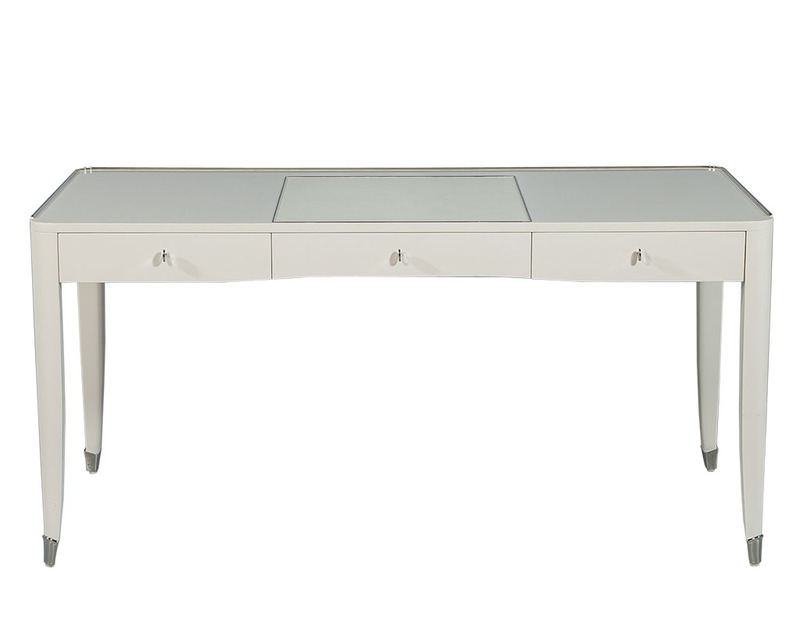 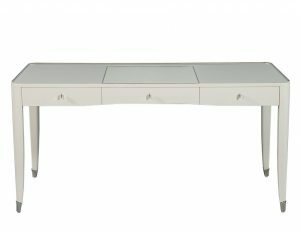 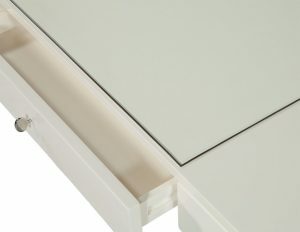 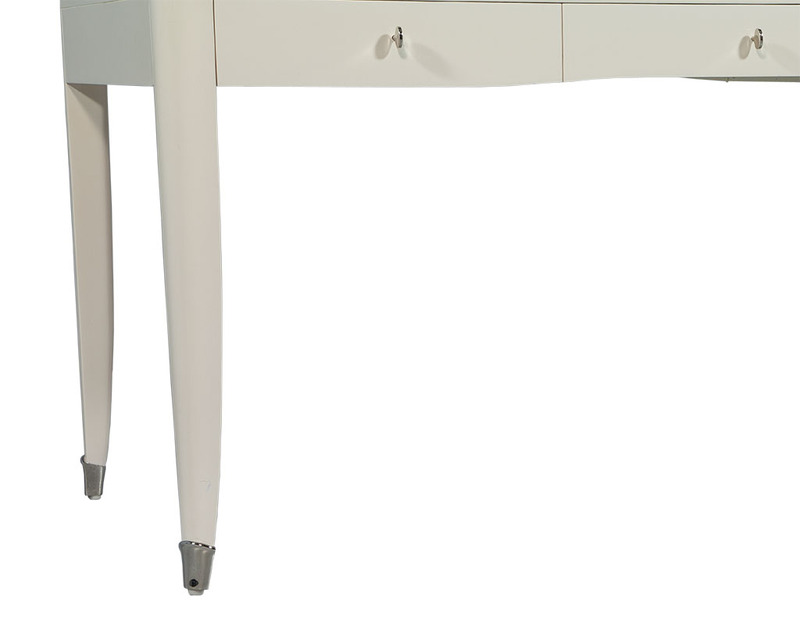 The piece sits atop elegant, tapered legs and chrome feet with three drawers on the interior. 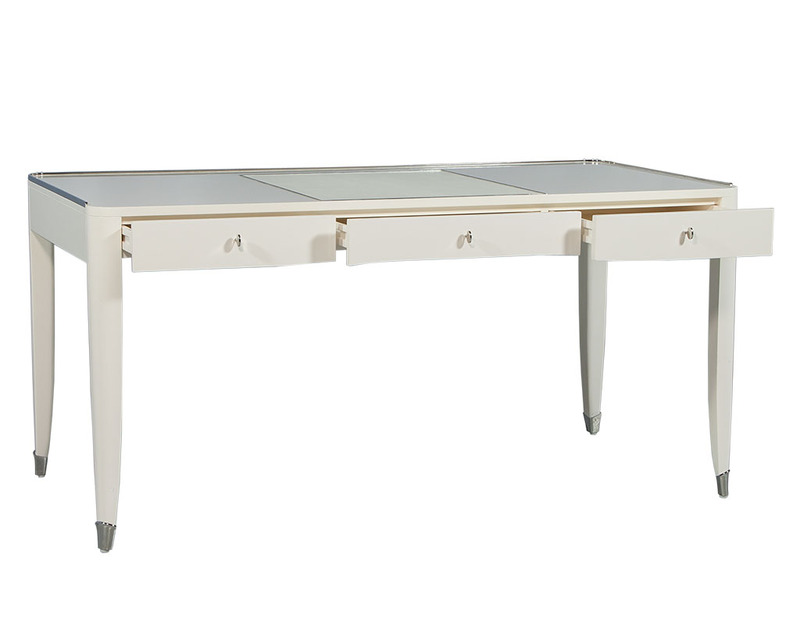 A beautiful addition to any home office.